Wanda Maximoff has not had the best life — she’s had horrible things happen to her, including having her own children turn out to be non-existent (long story). But she’s also done horrible things due to her own mental instability...and in her new book, written by James Robinson and drawn by a different artist for each issue, she had to come to terms with that, as well figure out a metaphysical mystery. She is also confronted with the fact that her mentor, Agatha Harkness, was killed by Wanda when she was possessed — and Agatha’s ghost is hanging around Wanda now, acting as a kind of snarky spirit adviser. 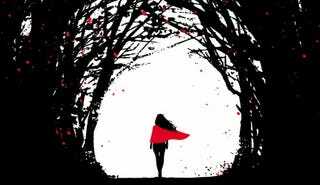 Yes, that’s right: Wanda Maximoff is now on anti-depressants. Because, honestly, that’s what she needs. And she knows it: if she had been on them before, she might have avoided a lot of tragedy. Honestly, the second issue is so gorgeous, you should buy it for the art alone, but the story is intriguing and fleshes out Wanda’s character immensely: in return for her help, Hekate asks Wanda to find and stop a Minotaur that is killing people on the island. But there is a much larger mystery to solve, of who unleashed this Minotaur and how exactly it ties into witchcraft being broken.